Here you will find links for some of Dr. Wilson’s NB articles. This list has been generated to help you find the most relevant articles whilst first embarking on your Nutritional Balancing program. Dr. Wilson’s website has many NB articles on a huge amount of topics. These are just a select few to get you started! I very much enjoyed the R&R challenge. 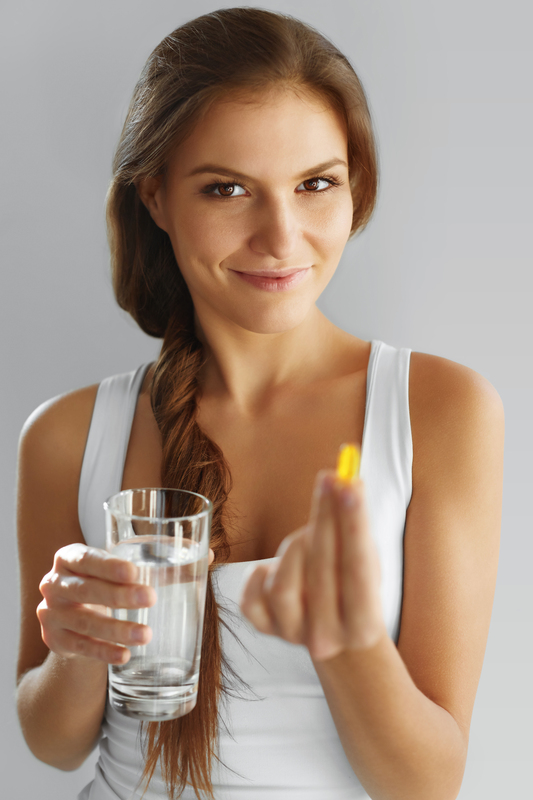 It enabled me to introduce the concepts of nutritional balancing at a steady pace, which helped me a great deal as I was very busy at the time when I began it. Made everything far less overwhelming. 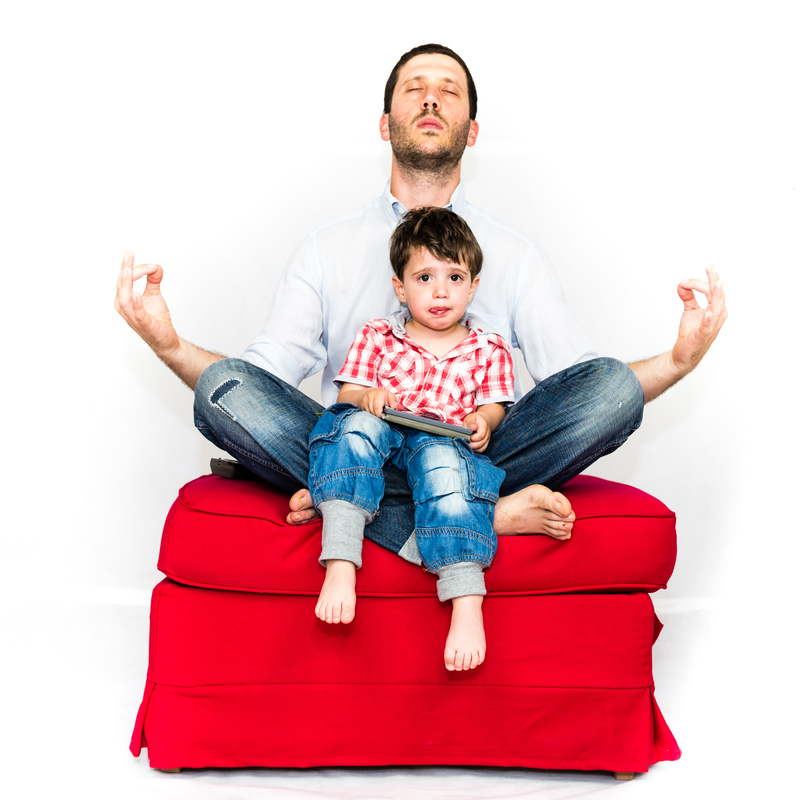 I would recommend the R&R Challenge to family and friends, but would especially recommend the R&R Challenge to those who are very busy or easily overwhelmed. I rate the R&R Challenge 5 out of 5! Sari is very knowledgeable, supportive, non-judgemental and genuinely caring. The 12 week Challenge is a wonderful resource and motivational tool to have for this healing journey. It not only gives you the information of what to do, but also it helps explain why you are doing it and how to implement the changes. The weekly email was well timed, giving you enough time to read through the information, incorporate the changes and establish a routine before the next email arrived. The gradual implementation of some of the lifestyle or food changes each week made it manageable and not to daunting and the chart a great tool and reminder of your weekly goals. I highly recommend the R&R Challenge for anyone genuinely wanting to undertake and incorporate the NB Program into your life, it's a fantastic tool. All of my consultations with Sari have been by phone as we live in different States. This has worked well for me as I travel a fair bit and it is very convenient being able to schedule a consultation wherever I am... the results have been excellent. I was reassured by Sari's confidence and faith in the Nutritional Balancing program and was very happy to find a practitioner who had specific and expert knowledge in treating adrenal fatigue. As she had tried many different methods for treating adrenal fatigue and had great confidence in this program, I was happy to follow it, and the results have been excellent. At each consultation, Sari gives me feedback on my progress, based on the mineral analysis of my hair tests and is able to give her expert interpretation of how my recovery is progressing. Detoxing is a complex, long term process and I am grateful to have the supervision and reassurance of such an experienced practitioner to guide me and keep me committed to my recovery. The diet recommended by Dr Wilson is easy to follow, and the added benefits are that it helps with weight management, digestion and keeping things moving. I feel much much better since being on the program and no longer have the symptoms that first brought me to this treatment. For me, the R&R Challenge was instrumental in my successful implementation of the lifestyle overhaul that is Nutritional balancing! I like to jump into things straight away, and I can see now that it would have been too overwhelming to make all the changes at once. R&R helped me to slow down (a recurring theme these days) and take one step at a time. This package is all the things I like. It's methodical, practical, and means you don't have to think too much - just read the new email each week. A really helpful aspect for me, was having the daily 'to do' list, to print out. The best part by far, however, was having the support of Sari. It can be a daunting time in the beginning, with so many questions and symptoms. She truly has your back, and it was such a comfort to know that help and advice is only an email away. I would definitely recommend the R&R for other new to the NB program. It not only makes the journey feel stable and systematic, but it's all the info you need in one spot. I liked the distribution of the challenges across the weeks very very well. At the beginning people have more drive and there was more to do and less when I became a little less motivated. The order of the challenges was great. 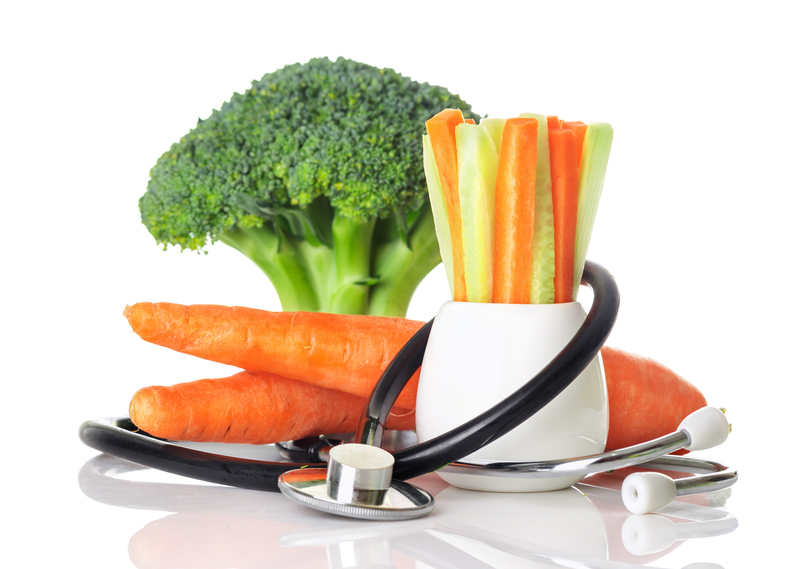 I have learned lots and have incorporated lots- even having carrots daily. The breakdown of challenges across all the weeks was very manageable, and as it’s broken down into weeks it helps so much. It was in perfect order. If there was any more information included, it would be very overwhelming, so the program was just right. The R&R Challenge helped me especially with the diet part... it’s always been my weakness and doing things in weeks helps so much then just going cold turkey. I really enjoyed the program, I had constant support throughout the program and didn’t feel alone. There were many times where I fell off the diet but with the support from Sari I was able to get back on track. It helps when you know that Sari is an email away and that you know that when you’re very stuck with something you can get that answer in a few days. I think Sari’s program has helped me so much and I believe this will help in my recovery. I look forward in continuing to work alongside Sari to get to my perfect health. I have very much enjoyed the Challenge. I just took it at my own pace, some weeks it took me two or three weeks to get through. I wanted to make sure I was doing things correctly and had read all the relevant articles before I moved onto the next thing. Some things I was aware of already and some was welcome guidance... I now see very clearly how my mental health is related to its dependence upon my body chemistry... The consequence of heavy metal toxicity is sobering and once again drives home the importance of adhering to a NBS program strictly... My attitude goals are learning to live simply with low stress, self love and letting go of the ego, openness to guidance, openness to compassion for oneself, and willingness to let go of all of one's past. I want to work on my own capacity of courage, fearlessness, relaxation and discipline :). It’s nice to talk to someone who does NBS also who has kids and a husband and shares obstacles to the lifestyle and program. She is non-judgemental, listens closely and is lovely to my son too, providing him play things. 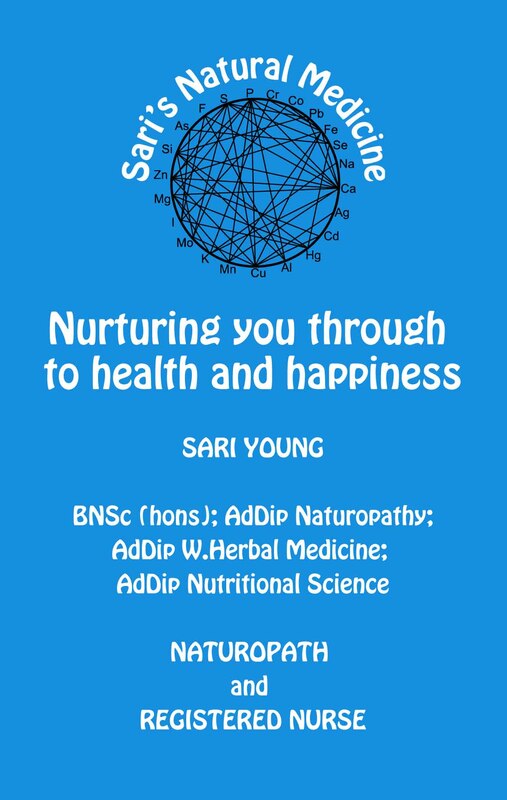 Yes I would recommend Sari’s Natural Medicine to any of my friends who want to start a NBS program. Sari is resourceful, kind, gentle, understanding and easy to work with. I rate Sari’s Natural Medicine 10 out of 10. The phone consultations are a great way of understanding your hair mineral analysis results and having any questions answered that are related to the program. It has been a joy to have Sari walk me through Nutritional Balancing. My son’s original diagnosis is Type 1 Diabetes. Since becoming Sari’s patient, over the last 6 months, he has put on weight and his insulin dose has reduced. Sari is very easy to talk to, has a great personal manner and is understanding. We really feel listened too. Sari ensures she is available to contact when needed; she is very thorough when discussing symptoms and remedies. She really believes in NB and the health benefits it provides which is motivational and inspiring. I would definitely recommend Sari to friends and family as she is very knowledgeable and explains the reasons behind her recommendations and wants to know when changes in symptoms occur so the program can be updated. She has a wonderful, gentle manner which keeps you on track without her being pushy. We are so grateful to Sari for everything she has done. Her guidance and support in getting us started on the NB program has been invaluable and being able to see positive results so soon has made us want to persevere. We rate the service received at Sari’s Natural Medicine 10/10.